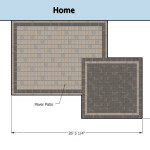 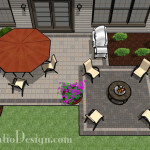 This 668 square foot patio is everything you ever wanted in a patio. 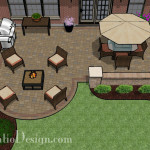 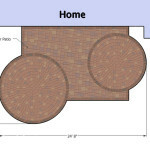 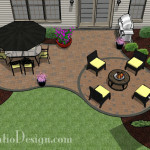 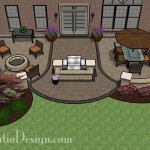 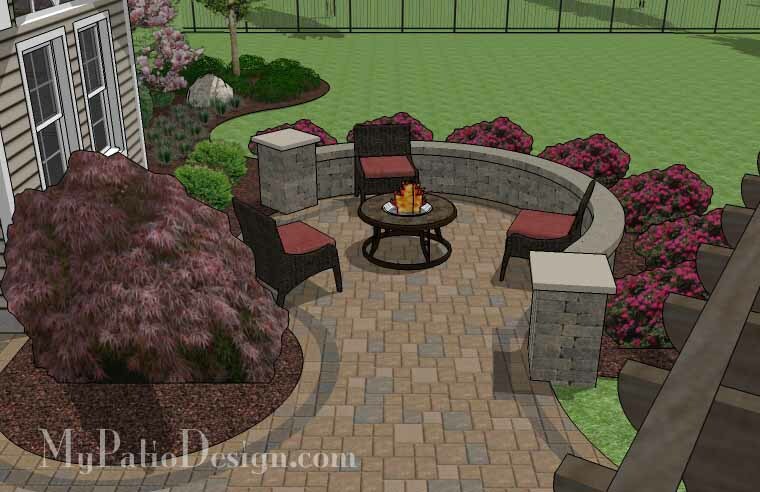 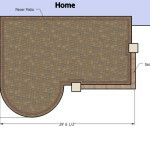 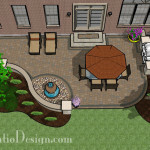 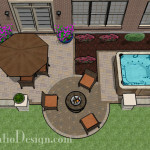 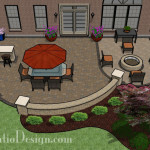 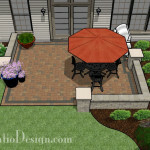 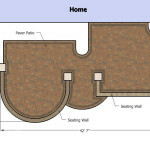 From its unique shape to simple seating wall, this patio has it all. 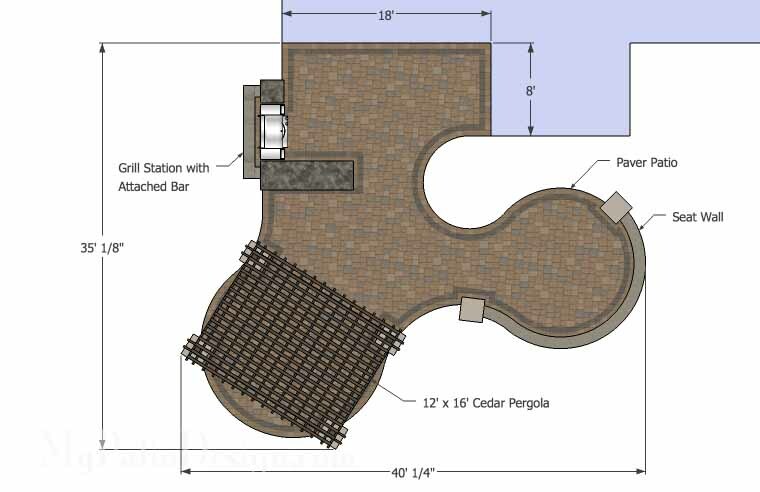 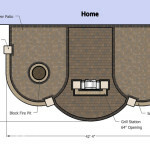 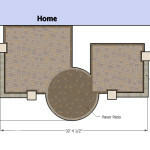 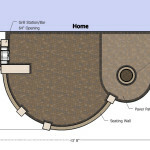 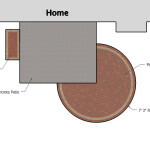 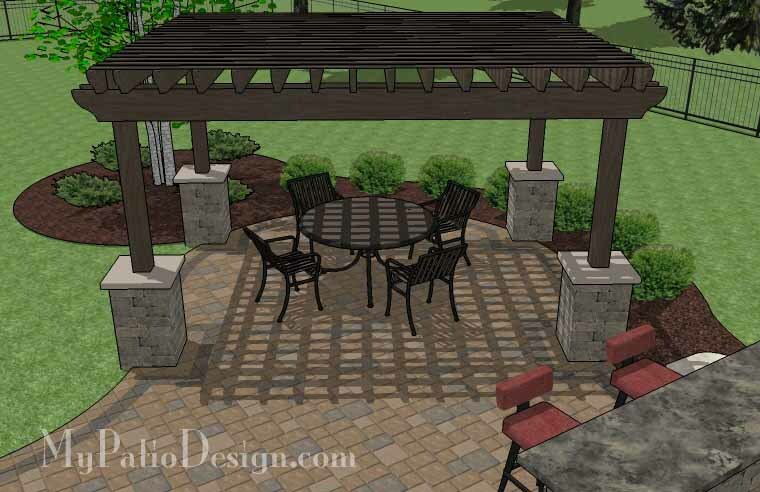 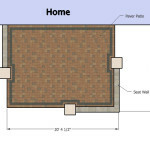 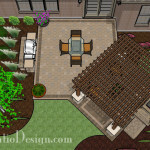 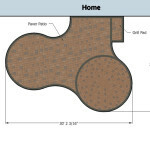 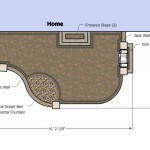 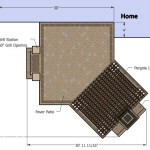 The cedar pergola is 12′ x 16′ and secured into the ground by 4 tumble block wrapped posts. 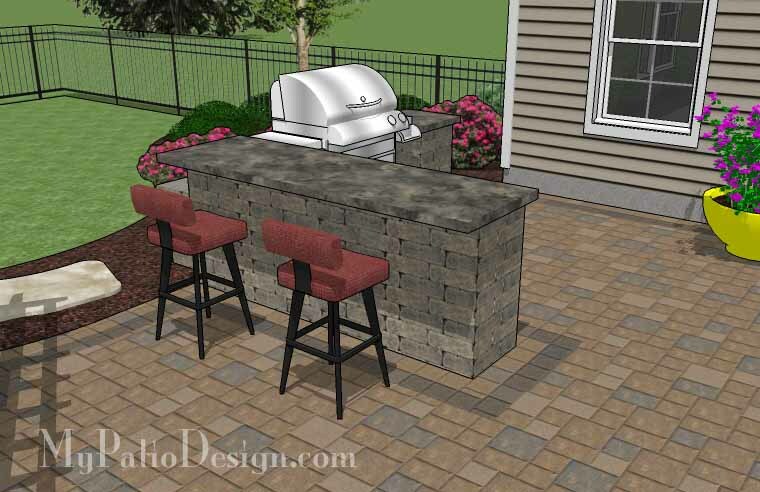 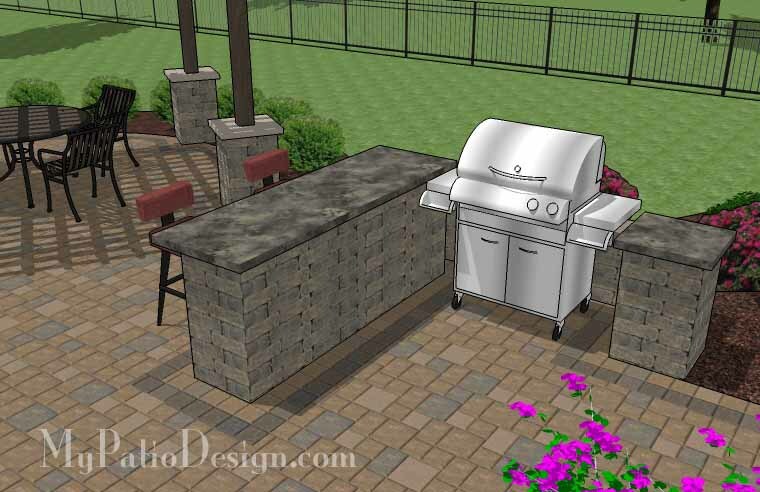 The grill station fits grills up to 63″ and the attached bar counter is 2.5′ tall and 8′ wide. 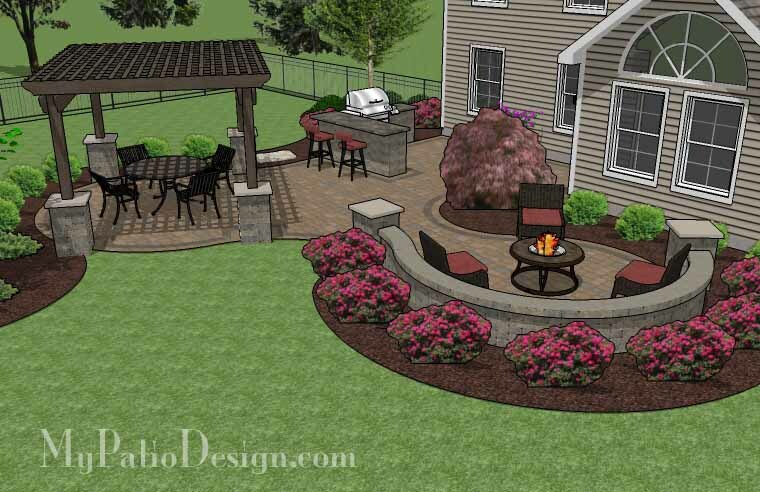 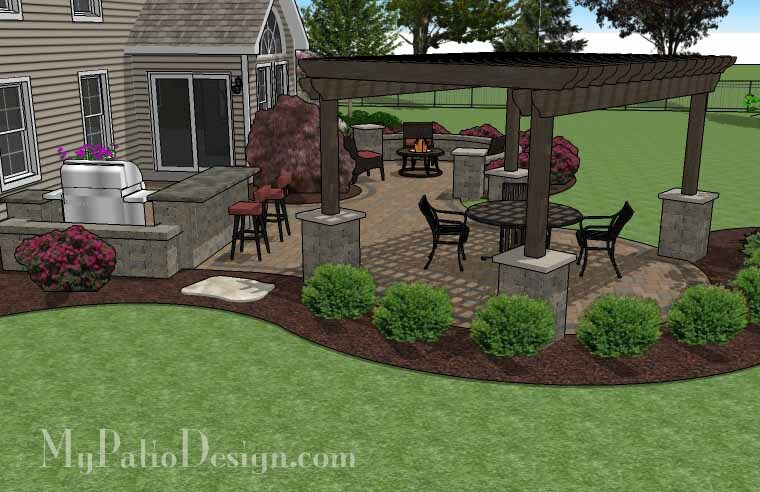 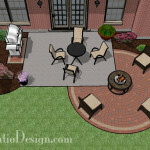 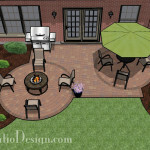 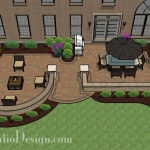 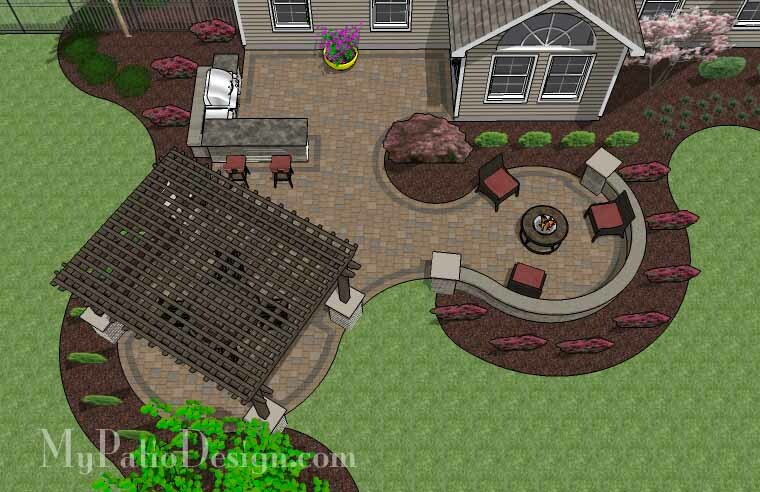 The fire pit is a perfect place to wrap up the night and relax under the stars.